Liz is a partner in the Washington office. She has acted in more than forty international arbitration matters, including ad hoc arbitrations in London and Nigeria and arbitrations pursuant to the ICSID, UNCITRAL, ICC, SCC and LCIA Rules, with seats in London, New York, Frankfurt, Geneva, Singapore and Washington. 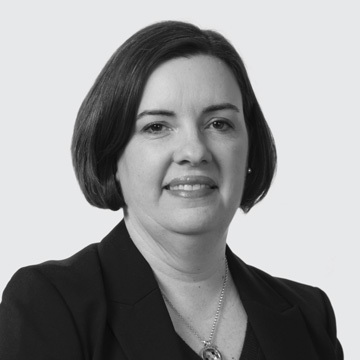 Her practice is evenly balanced between commercial and investment treaty arbitration, with a focus on the upstream energy, mining, aerospace and telecoms sectors, as well as disputes in Africa, India and Asia. She has particular expertise handling disputes involving States and State entities and fiscal disputes. Prior to joining Three Crowns, she worked as counsel in the international arbitration practice of a leading international law firm in London. Liz holds degrees from the University of Virginia and the University of Oxford. At Virginia, she was an Articles Editor for the Virginia Law Review. She clerked for the Hon. Judge J.H. Wilkinson, then Chief Judge of the U.S. Court of Appeals for the Fourth Circuit. Liz is a member of the District of Columbia Bar, and her admission as a solicitor in England and Wales is pending. She is recognized by Who’s Who Legal and Legal 500 (US) for her international arbitration expertise.